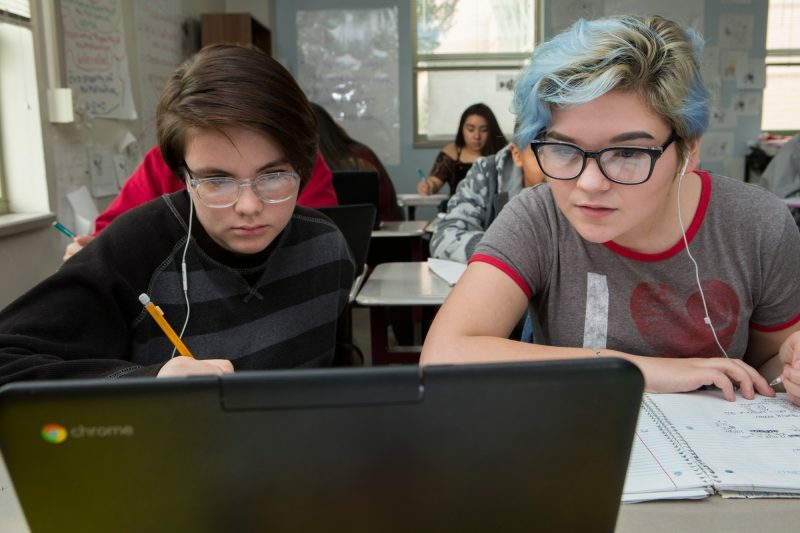 GREELEY, Colo. — Inside a high-ceilinged library at Northridge High School here, seniors are typing on 16-year-old laptops donated by a local Rotary Club. Some of the computers are missing keys. Others are cracked. Many have already broken down multiple times. 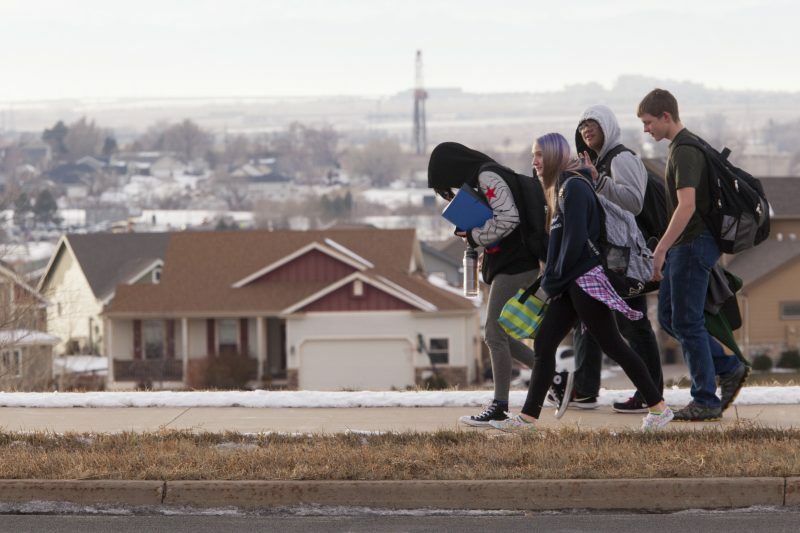 It is “college day,” and the students in this old farming town 60 miles north of Denver are applying to a handful of state universities and community colleges, their transcripts printed out for quick review. Most hope to eventually land tech-related jobs. But many have no computers at home. And their cash-strapped school district has struggled to provide them with even the most basic digital tools. School leaders have solicited donations from local manufacturing plants, energy firms, even the federal government. In November, the town put a referendum on the ballot asking voters to approve a tax increase to funnel $4.2 million into schoolwide technology upgrades. The measure failed. But this town’s dauntless mayor, Tom Norton, a retired civil engineer, says there are plans to try again later this year. In wealthy school districts around the country, parents and teachers talk often about keeping computer use to a minimum. The students live in homes with multiple laptops, iPads, tablets, iPhones – iEverything. Their worry is about excessive time spent online, about the distractions of the virtual world replacing interaction with the real world. But for hundreds of poor districts across the United States, especially in modernizing agricultural communities like Greeley, the struggle is entirely different. It’s about helping students with limited tech skills be prepared for a global economy that is becoming increasingly digitized. Yet these are often the districts with the fewest resources, the districts flailing to move somehow beyond the era of the floppy disk. Greeley, flat and grassy, is a modest city set on the Great Plains less than an hour from the serrated edge of the Rockies. Carpeted with sugar beet farms and cattle ranches, dotted with natural gas fields and a handful of large manufacturing plants, it is a sliver of America that is often forgotten in the nation’s booming high-tech corridors: one that is struggling to raise young people who will join, rather than be co-opted by, the wired world burgeoning around it. Donald Trump won 57 percent of the vote here. Migrant workers abound, and a local meatpacking plant has hired hundreds of refugees from Somalia, Myanmar (Burma), and Sudan. One in 5 residents lives below the poverty level, many in homes without high-speed internet service. Greeley offers a lens into how wide the digital divide in the US has become, how much it is contributing to a two-tiered society, and, perhaps most important, whether it can be bridged – something that will be crucial to keeping the country competitive in the global economy of tomorrow. On a recent afternoon inside a first-floor computer lab at Northridge High, efforts to bolster the students’ cyber prowess are on display. The school overlooks plush sand-colored condos and a sprawling golf course community that has drawn wealthier families to the area. But many students live in threadbare mobile homes and modest, low-slung dwellings on the edge of town. Lanetta Cerrantes, a loquacious senior with straight dark hair, is perched in front of a desktop computer, designing a 3,888-square-foot home. She uses a software program popular among architects and designers. 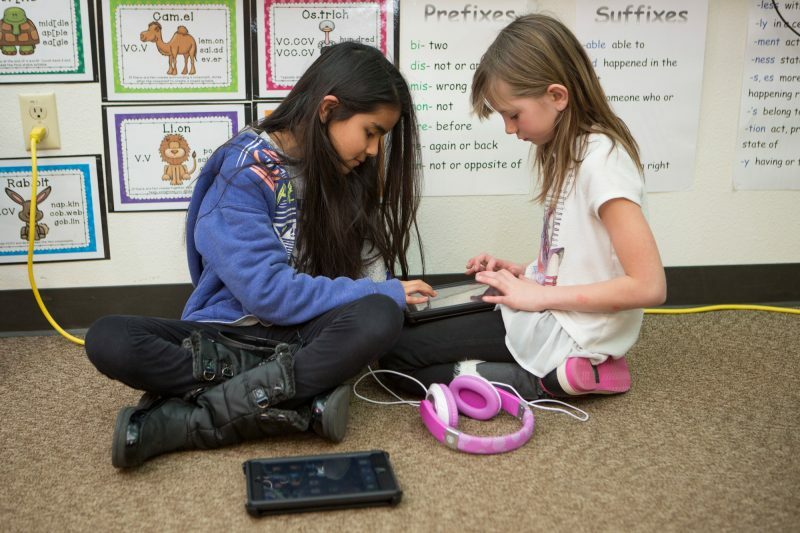 $4.2 million: amount sought for school technology upgrades, in a tax-increase referendum that failed in Greeley, Colo. Nearby, a group of seniors exhibit souvenirs they designed and fabricated a week earlier, using a computer-assisted drafting program and the lab’s 3-D printer. They had been asked to fashion an advertising campaign for their school’s sports teams, the Wolverines. The end result: tiny plastic claws their friends can paint and attach to key chains. 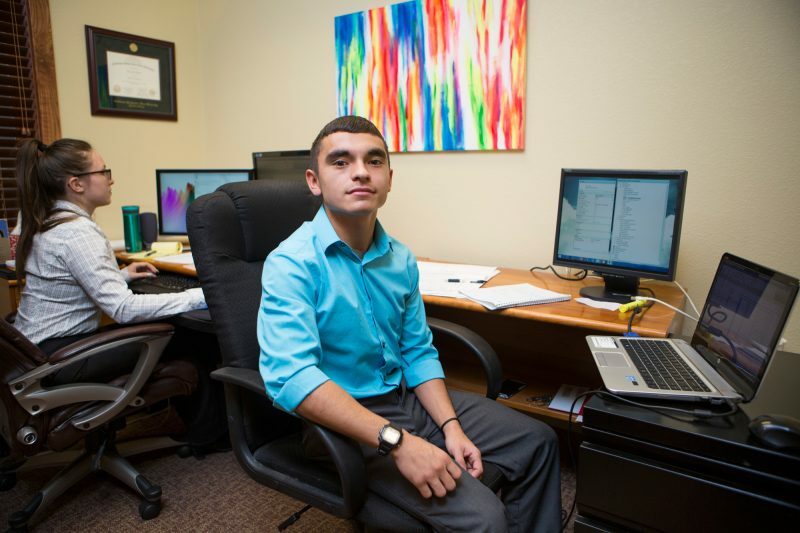 The students are all in a science and engineering program, one of 12 career tracks designed by the 21,878-student district that encompasses Greeley and nearby Evans, a small river town with a growing Hispanic population. The students learn how to use industry-approved software programs and are often granted paid internships at local design firms and research labs, and Greeley’s planning and development departments. They also take field trips to area manufacturing firms. For many, the so-called digital divide is a daily struggle, adding a sometimes embarrassing and often frustrating layer of complexity to high school life. Junior Emily Juarez, the daughter of a dairy worker from Mexico, arrives at school early to type English papers she has handwritten at home and finish up PowerPoint presentations that are now regularly required of students here and across the country. Like many students in the district, she has no access to the internet at home. “There are a lot of kids who really need this,” she says of the school’s technology offerings. District teachers such as Mallory Mattivi agree. She says she is deeply committed to computer-assisted teaching because it gives students with limited tech experience exposure to digital tools. It also allows her to teach students who arrive in her classroom with vastly different skill levels. Seventy-five different languages are spoken in the schools, and many of the refugees who populate classrooms haven’t been formally educated in years. “I could never go back to the old model,” says Ms. Mattivi, whose eighth-grade English students discuss articles about the environment, civic life, and American history after using online literacy programs that provide similar material at different reading levels. But computers are expensive. The district has already spent more than $3 million since 2011 on tablets, laptops, software programs, fiber optic wiring, and engineers to oversee all the instructional technology. Colorado is famously parsimonious with its school district funding. A robust taxpayers’ rights movement has led to a deep divide between schools that are flush with money and those with scuffed gym floors, modest cafeterias, and ill-equipped computer labs. In 1992, voters amended the state constitution to cap property tax revenue, which limited how much money the state can collect and the amount of local tax dollars school districts can raise. A constitutional amendment passed in 2000 was meant to correct some of that, but it has not been fully implemented. And a state push to fund schools more equitably with another tax measure failed in 2013. These days, school districts make up for shortfalls by going directly to voters. Wealthier communities often either float bond issues, pass local tax increases, or engage in extensive private fundraising. Poorer districts labor to raise money any way they can – often unsuccessfully. Nearby Denver, plush with higher-priced real estate and students with far greater familiarity with technology at home, has better funded schools. It spends $9,307 per student annually compared with Greeley, which spends $6,857, even though 64 percent of its students are economically disadvantaged and 25 percent are learning English for the first time. The national average is about $12,000 per student. Ironically, parents in wealthier districts around the country often fret about the overabundance of technology in their children’s lives. They hold discussions about internet addiction and host watch nights for documentaries such as last year’s Screenagers: Growing Up in The Digital Age, which outlines the potential perils of extreme computer use. “Many parents are obsessed with excessive screen time,” says Delaney Ruston, a physician and filmmaker who created the documentary and wrote a companion book with the same title. It’s perhaps not surprising. Extra money has allowed these wealthier districts to invest heavily in Chromebooks and iPads, state-of-the-art robotics programs, computerized blackboards, and high-end 3-D printers. Many now have a laptop for every student. And when the young people go home, electronic devices inhabit every countertop and bed stand. Research about the effect of technology on children’s lives is, in fact, mixed. At least one Duke University study suggested that the arrival of broadband service in North Carolina between 2000 and 2005 correlated with a small, but significant dip in reading and math scores for elementary school students. Professors Jacob Vigdor and Helen Ladd, who studied more than 150,000 students, found that the addition of after-school tech-related activities – watching videos online and playing games – had served to “crowd out” homework time. Still, technology can bring widespread benefits as well. A 2007 Texas State University study, published in the Journal of Educational Computing Research, found that when students were presented with high-quality online math instruction they did better on tests than those taught in a more traditional way. And other research indicates that even limited amounts of tech exposure can make students aware of lucrative career options they didn’t know much about before. In 2012, for instance, researchers found that only 26 percent of low-income teens attending a science and technology camp wanted to become chemical engineers. After the camp, 63 percent reported an interest in the field. 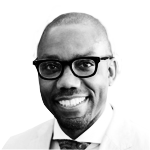 By all accounts, developing technological skills will continue to be crucial in an increasingly digital world. Keith Krueger, chief executive officer of the Consortium for School Networking, a technology advocacy group, calls the digital divide in the US “the civil rights issue” of our time. Perhaps more worrisome, the gap doesn’t seem to be narrowing: CoSN’s 2016 survey found that nearly 20 percent of teachers identified something as simple as reliable Wi-Fi service as still an issue for their schools. Greeley certainly has not given up on plugging into the future. Consider the efforts of Mayor Norton alone. A barrel-chested man with a ready grin, he has turned the hunt for technology into a personal crusade. With his Western drawl and distinct swagger, he could, if wearing a Stetson, look right at home driving cattle on the high plains. But, in fact, he spent eight years as the director of the Colorado Department of Transportation and another two dozen years building his own civil engineering firms in Greeley, which is one reason he feels so passionate about exposing the next generation to the right technologies. When Norton won reelection to a fourth term earlier last fall, he donated the remaining $20,000 in his campaign coffers to Northridge High School. Nor is he the only one on a digital crusade. When local companies buy new desktop computers, leave the county, or relocate offices, school officials are quick to knock on their doors, asking for any discarded technology. Similarly, when the Success Foundation, the district’s fundraising arm, visits with local businesses, it asks them to donate to tech initiatives. The foundation has already raised hundreds of thousands of dollars for classroom iPads, digital audiobooks, and high-tech wiring. The laptops at Bella Romero Academy, a struggling school for Grades K through 8 on the outskirts of town, were mostly purchased through a $300,000 donation from a local builder. At Meeker Elementary, seven-year-old computers were donated by a local branch of the US Social Security Administration and the University of Colorado Boulder. “We literally dumpster-dive for technology,” says Deagan Andrew, director of instructional technology for the Greeley-Evans School District. In 2014, the district solicited grant money from the federal government to install fiber optic networking that has allowed for better internet connections. It also invited in two national ed-tech think tanks to help the district redesign classrooms, revamp its curriculum, and purchase hardware and software more cheaply. District officials say the decision to invest heavily in technology came mostly out of desperation. 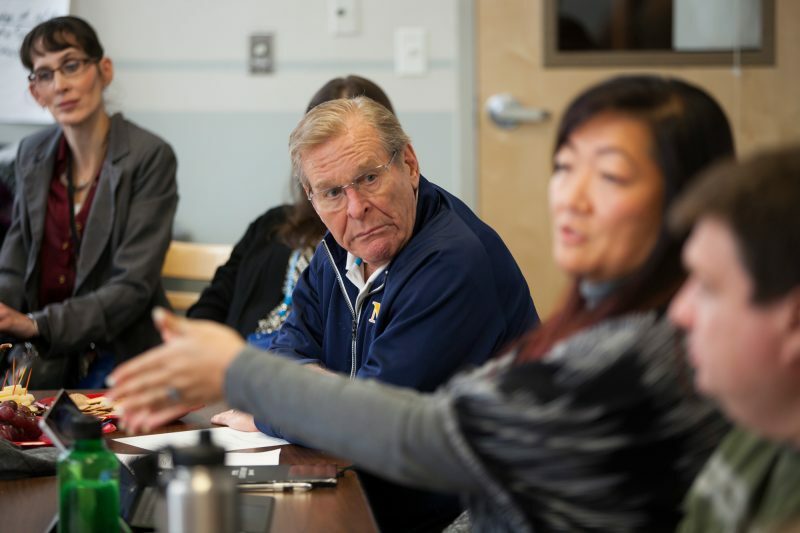 A handful of the district’s 25 schools are on a state watch list for poor performance, and the increasing influx of students without a strong command of English has challenged teachers. Mr. Andrew says the district, eager for solutions, began testing new classroom models in 2013, settling on the use of software programs to target student levels for reading and math. They are coupling the initiative with more small-group instruction. With less than half of the district’s classrooms stocked with enough laptops for every student, it’s still not clear how successful the approach will be. But district officials point to progress recently made in a pilot program at Bella Romero, where 46 percent of third-graders were reading below grade level in 2014. The school has experienced impressive gains in state test scores, outperforming ones with similarly challenged students. 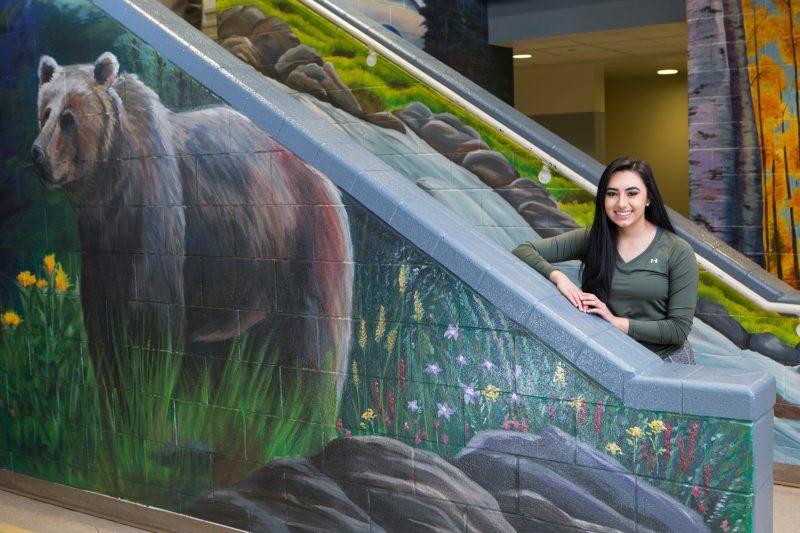 Lanetta Cerrantes, senior at Northridge High School in Greeley, Colo. The teacher, Kim Hoff-Gebhardt, works with a small group on the rug, reading a short poem about a dog and its owner. “Crab and grab – does that rhyme?” she asks the group. “Good job, buddy,” she replies. Parents have been invited to sit in on the class, before joining students in the gym for a Thanksgiving meal. Antone Gray, a truck loader at FedEx, watches his son Donovan play an online game. It is a reward for progress made earlier in the day. Mr. Gray is nostalgic for the time when tattered paperbacks, not headphones and laptops, populated classrooms. Rachel Erickson, sitting nearby with her son, Chase, has a different view. As Chase hears a word in his headphones, he clicks on the corresponding word when it flashes on his computer screen. It is part of a vocabulary game. Ms. Erickson believes the use of computers in schools is essential. As a supervisor at the county courthouse in Greeley, she sees how more and more records are being put online every day. Getting enough laptops and fiber optic cables, though, won’t be easy. School administrators have set a goal of giving every student in the district a computer by 2018. They also want to rewire networks and replace hundreds of existing devices. This is why proponents of more technology in the schools pushed so passionately for the ballot initiative last fall that would have funded many of the changes. The district had orchestrated carefully crafted radio and billboard ads, using the voices of teachers, principals, and business leaders. Advocates campaigned door-to-door and distributed handouts detailing how much instruction in the 21st century costs: $23,000 to give a building wireless access, $6,000 to give it internet access, $300 for every computer. The district held a town hall meeting by phone; 12,000 people listened in. Still, many people here, as in communities across the country, are leery of local institutions reaching into their pockets for more money. Greeley’s median family income is a modest $55,277. A growing number of residents are senior citizens, some of whom view computers as a luxury. 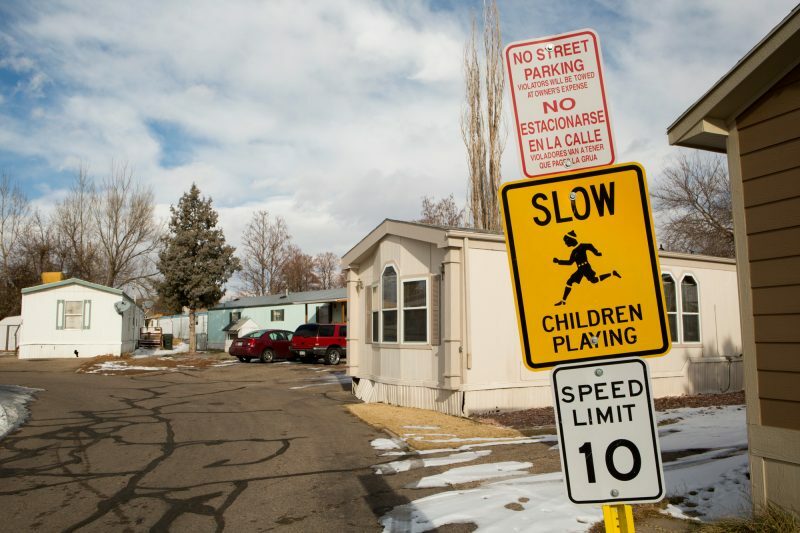 At least some residents resent the recent influx of immigrant children. In the end, the referendum lost by 1,400 votes, while similar school-funding initiatives passed in nearby Denver and Cherry Creek. District officials and political leaders here promise to revive the proposal this year. They believe the future of their children – and the country – hinges on it.